The Bondas have always led sustainable lives in the forest, but deforestation and changes in traditional farming practices now threaten their survival. The road to Bondaghati winds through the hills and forests of Malkangiri district, on Odisha’s southern edge. As you enter the area, the tar road fizzles out into multiple footpaths leading towards Bonda villages with thatch and clay tile huts. The area is popularly known as Bondaghati because it is home to one of India’s particularly vulnerable tribes – the Bonda. There are 32 villages covering around 130 square kilometres. According to the census 2011, there are around 12000 Bonda populations. Over the last two decades, this home has shrunk, wildlife is seldom seen and the community’s dependence on the land has become tenuous. “Now we have to cover more distance to collect firewood, forest produce, and to graze our cattle. 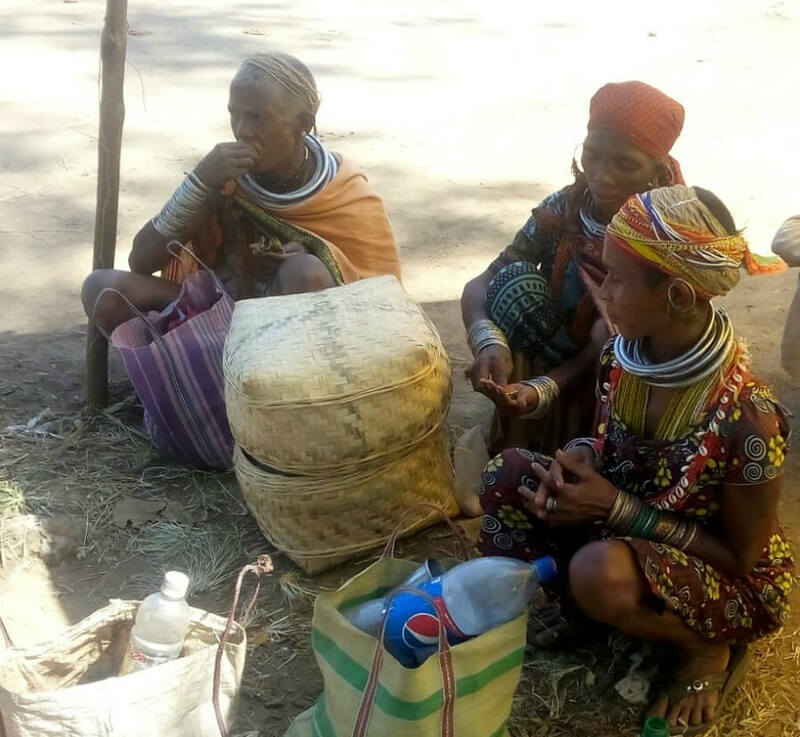 Earlier, the forest was dense and located near our village, but now, even after walking kilometres together, we find very few resources,” Budhbari Sisa, a Bonda woman laments. In the Bonda community, women are everywhere – gathering forest produce, tilling the land and watching over the crops. 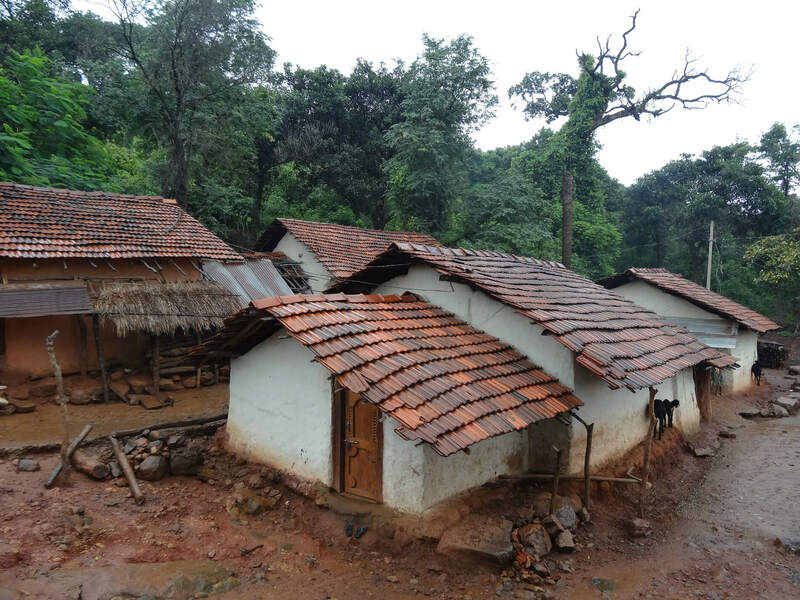 They practice shifting cultivation on the slopes – on patches of unevenly terraced plots called birhi land – staying in one place for three to five years before moving on. They begin in December by clearing the bushes and shrubs and in February they set fire to the undergrowth. As a rule they don’t burn fruit-bearing trees like mango, tamarind and jackfruit. In the monsoon month of July, sowing by dibbling begins – millet, paddy, pulses, oilseeds and a few vegetables. “We watch the crops day and night, staying in field huts raised on shifting plots,” says Raibari Muduli, a Bonda woman of Dantipada village. Bondas eat a range of millets and can survive a drought with traditional hardy varieties. Many of their parabs (festivals) revolve around harvests and hunting. The year begins with Magh Parab in January to mark the ceremonial eating of new rice and the selection of village functionaries. The biggest festival is Chait Parab held through March to celebrate eating the first mango and the start of the annual hunting season. Though all the festivals are important for the Bondas, Chait Parab holds a unique place in the community. “Men and boys go out into the forest for the annual hunt. If we come back without anything, we cannot show our faces to others. Therefore, no animal escapes from us. If we get nothing else, we even kill a jackal. Women dance and sing whole day in the streets and in village commons” Dhanurjay Sisa of Kichapada village says. The typical Bonda language–known as Remo–is now an endangered tongue because more Bondas are getting familiar with Odia as their primary language of communication. The absence of a script or text for Remo adds to the threat of its extinction. It is also assumed that their rich indigenous wisdom will become a casualty to this loss. From 1976-77, the government of India set up a Bonda Development Agency in Khairput block. The Integrated Tribal Development Agency was also established in Malkangiri district. They did more harm than good, Jaldhar Muduli says, “Many of our traditional varieties of crops are lost and the yield has reduced. Earlier we used to cultivate a range of millets like ragi, kodo, pearl, little, barnyard along with up-land paddy and pulses on the slopes of the mountain. [The] Government is providing us saplings of fruit orchards, seeds of onion and potato. We cannot survive on these. We need millets, rice to feed our belly. This will give us the strength to work on our Birhi land”. The Bonda also had strong traditional system for resolving conflicts. In the past, the village council seen was as cultural center of the village and the Naik or village headman would be carefully selected based on seniority and their knowledge of tradition. While performing his duties for the villagers, the Naik would be assisted by the Challan and Barika, village functionaries who were responsible for maintaining law and order in the village. After a police station was erected at Mudulipada panchayat, the judicial role of the village receded. Now cases of assault and violence are reported directly to the police station. As a result, hundreds of Bondas now languish in jail. Bonda women usually wear thick, durable skirts called ringa. Their jewellery is headbands made of grass, garlands of coins and colourful beads, metal bangles and rings on their necks. They also shave their heads. The older women believe that by sticking to traditional attire they appease the gods and prevent misfortune. Laxhma Muduli, of Baunsupada village, says, “We are careful about our attire because we do not like to break our age-old tradition”. But the cheap and easy availability of sarees is inducing younger women to switch over, and further to grow their hair. Men too are changing to shirts and shorts. Even modern cloths has been distributed by various government departments and some local NGOs. As the outsider visitors frequented the Bonda regions, this interaction and curiosity have had its disastrous effects on the culture, tradition, age-old wisdom and low carbon footprint life style of the ever-resourceful Bonda community. On the other hand, the Bonda are largely unaware of their contribution towards widening and enriching the scope of global culture. In the words of Verrier Elwin, one of the eminent scholar of Tribal Studies in India, “Let us teach them that their (tribal’s) own culture, their own arts are the precious things, that we respect and need. When they feel that they can make a contribution to their country, they will feel part of it”. Dambaru Sisa is the first Bonda to represent his community in the Legislative Assembly. A graduate in mathematics and law from Berhampur University, he wants to work to protect “the unique culture and tradition of our Bonda tribe while giving them access to education and everything that goes with modern civilization. I do not want framed photographs of my people decorating drawing rooms of the rich,” he says. “I also do not want to influential people making money from government programs meant to usher in development for Bondas”, concludes Sisa. Abhijit Mohanty is a Delhi-based development professional. He has extensively worked with the indigenous communities in India, Nepal and Cameroon especially on the issues of land, forest and water.